Last week I reviewed Meb Keflezighi’s racing shoe, the Skechers GoMeb Speed 3. In this post I’m going to introduce you to his training shoe, the Skechers GoMeb Strada (I believe Kara Goucher is also training in this shoe now). I’ve been involved with the development of the Strada since late 2013, so the shoe has been in the works for quite a long time. I’m going to keep this post brief since I’ll be writing a full review in a few weeks – just waiting to get a few runs in a final production sample that is en route. 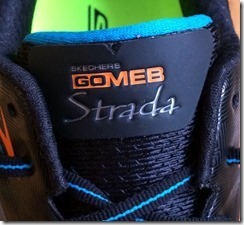 The GoMeb Strada is essentially a cushy, neutral shoe (think Nike Pegasus cush) with a rubberless sole. Instead of a traditional outsole, Skechers opted to make the sole from two types of foam – a softer foam for the majority of the midsole, and a slightly firmer, more abrasion resistant foam that extends from the outside of the heel, across the midfoot, and up under the big toe (black regions in the photo below). The bit under the big toe is an interesting approach since it provides a bit of stability during late stance phase – I tend to really squish this area in a shoe like the Pegasus, but the Strada worked very well with my stride. 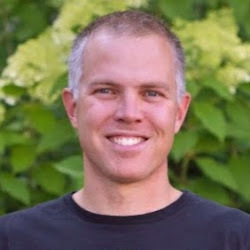 Pete – I am wondering and maybe you can answer or find someone who can. Why does it seem as though Skechers is moving away from the seamless uppers it had in their series 2 shoes and appear to be going to the strapping on the side from the lace unit to the sole. I understand the need for some structure to an upper, but other brands have/are moving away from sewn straps in the upper to seamless ones. Maybe it is just me but I am not a fan of the pleather straps that came back in the series 3 and appear to be staying in the 4 and the Strada. 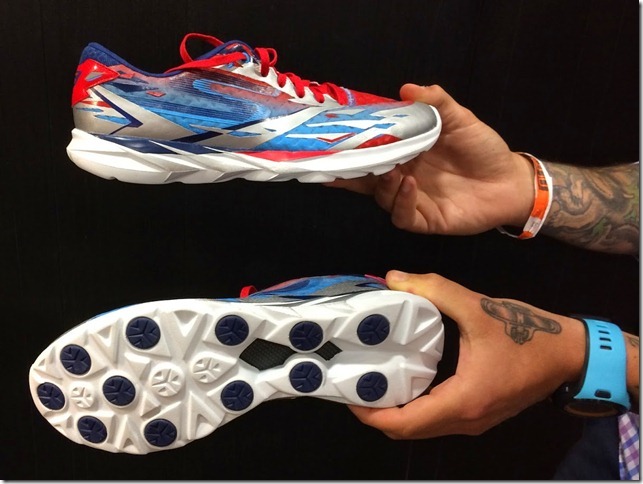 Oh well, maybe they will come out with a Bolt upper on the Strada bottom, like they did with the GoRun Ride 3. Wish I had an answer Harold. My guess is you will see various iterations of the Strada with different upper combos if past history with other models is a guide. You said “the GoMeb Strada is essentially a cushy, neutral shoe”, so, could it be compared with the GoRun Ride? They are fairly similar, Strada has a slightly narrower fit. NEed to get some miles on the Ride 4 so I can better assess the differences. Then… I can´t understand this “strategy”, why launch a product so similar to other (GRR4)? Two products “cannibalizing” each other… just adding confusion to the market? For what it’s worth, the dual density foam does imply a slightly more stable ride (especially through toe-off) in the Strada. Think of the GRR4 as a GoRun+ lightweight trainer, and the Strada as a performance training shoe made to Meb’s needs. The Strada is a bit snugger, stiffer, etc. Many shoe companies have multiple neutral shoes in the lineup, like Saucony with the Breakthrough, Ride, Triumph or Nike with the Vomero, Pegasus, Zoom Elite, etc. I am a bit skeptical with the trend of turning towards less and less durable sole products. It seems I can’t get past 200 miles in a pair of shoes anymore. At 100-120 a pop for these shoes, that’s no chump change. Not sure if the performance characteristics/weight issues would suffer from some amount of rubber on the sole. Thanks for the updates on this model. You’re not the only one. I’d happily gain an ounce or so to get a real outsole these days! Also, now you know why I almost refuse to pay retail for shoes. Skechers is intentional about minimizing rubber because it’s what gives their shoes the soft feel that they have. Adding rubber will change the ride quite a bit. However, lack of rubber needs to be accounted for in pricing, and $100+ for a rubberless shoe is tough to swallow. I’ve found out that using Shoe Goo, those places in the outsole that tend to last less are kept very well from wear…. Looking forward to your review. I am hoping the stack falls somewhere between the GR4 / GRR4 and the Ultra. 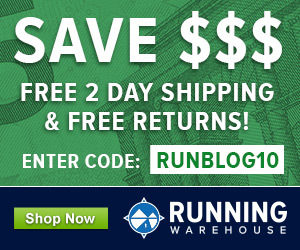 Gotta agree with the others here, a training shoe should have a full-coverage durable outsole. 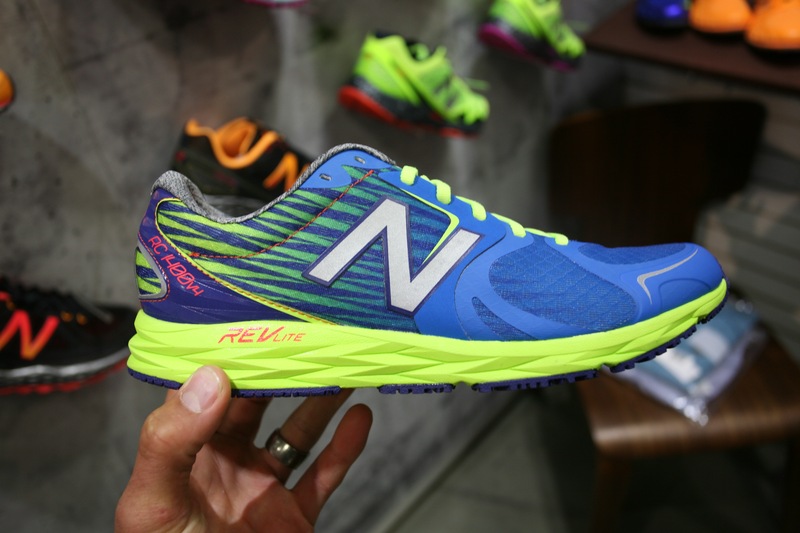 What distinguishes this shoe from the GoRun Ride? I don’t have a problem with training shoes that lack outsole, I actually prefer the feel. However, the price needs to account for this fact given the potential for durability issues and I think $130 is too high in this case. One of the reasons I wanted to hold off on a full review is so I an try a production shoe and see how the high abrasion foam holds up, it’s been tweaked a few times and want to be sure I tried the most recent version. I agree with you Pete. One of the main things I like about Skechers is the soft ride. Too much rubber will make them feel like other shoes. Maybe the dual density foam will help. I gotta say, the shoe in the picture looks FANTASTIC! Love the color combo. Are people really wearing through outsoles? I have never worn through an outsole in 28 years of relatively high mileage running and trying to get as many miles as possible out of my shoes (high of 4,300 miles in one pair a long time ago, 500 mile more typical minimum now, even if I have to run in blown out uppers for several hundred miles) . Uppers always blow out way before that, especially in recent years as shoes have gotten lighter. Midsole cushioning goes, if you care about that. I’ve put 1,000 miles in minimal outsole shoes some Nike Frees, but the limiting factor is still the uppers (most showing upper holes well before 1,000 miles). My girlfriend’s shoes do show obvious outsole wear, but you can hear her scuffing her heels when she runs, at least at slower paces. Even then, the limiting factor for her shoes is holes in uppers. Yes, lots of people do. Really depends on specifics of individual stride, scuffers will tear through the outsole of shoes. Yes. I tend to kill the very tips of the toes and the lateral forefoot on my shoes. Don’t remember the last time I felt good running in a pair of shoes up to 300mi. I’d love to see what your shoes look like at 500mi. Here’s a shot an outsole at 506 miles. Pete, can you give us an ETA on the full review? Inquiring minds want to know. My production pair just arrived yesterday. Unfortunately we are buried in snow right now so may have to resort to some treadmill miles to get the review done. I was going to say that the roads here in Cincinnati are cold but dry, too. So, call me confused. Just saw a video short review on Runners World and they are calling it a GoRun Strada. Also, Believe In the Run review shows it as GoRun. Yours is clearly GoMeb. Is there a difference between GoRun Strada and GoMeb Strada or have they just not decided what to call it? 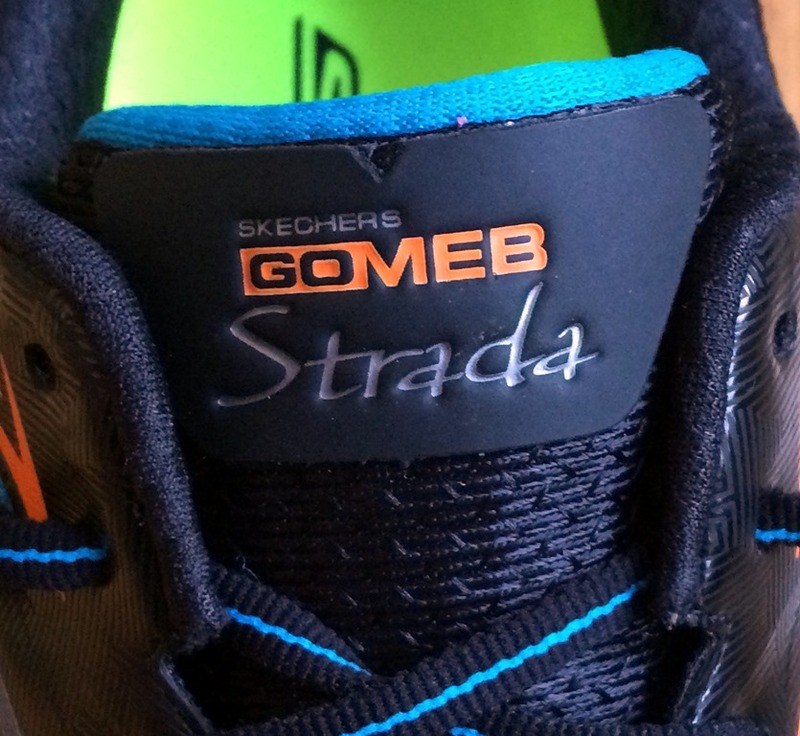 They made a late change to the naming – it is the GoRun Strada, I was incorrect in the post due to my most recent pair having the GoMeb moniker. I hope not. From what I read/heard on another site, the stack is 5-6mm higher than GRR or GR. I’d probably put the Strada in between the Ride and the Ultra, it’s a pretty built-up shoe. Hi Pete, do you have an ETA on when you might have the full review ready? I know you are fighting bad weather. It’s hard to find anyone with any details on the shoe and it’s characteristics.